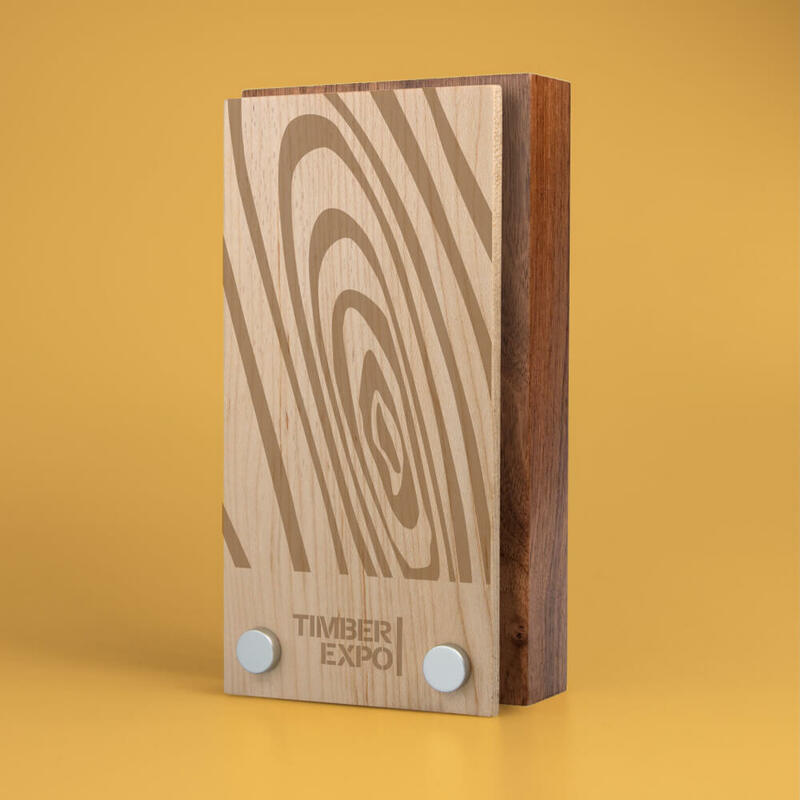 Natural wood has broad appeal, especially when responsibly sourced from certified suppliers. 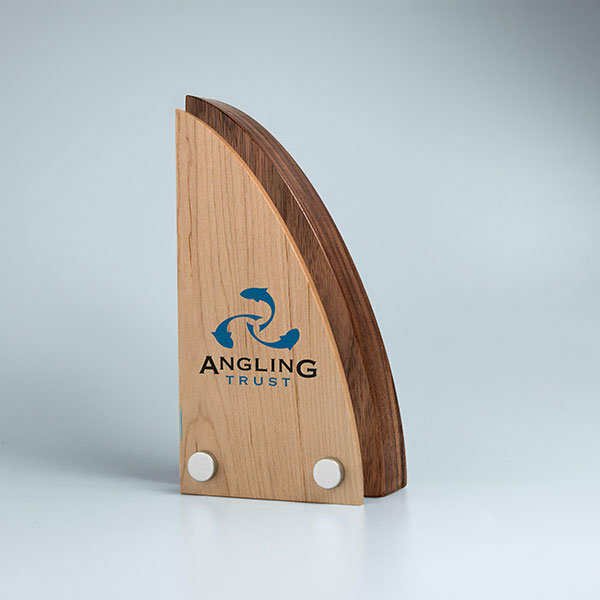 This range delivers on both accounts. 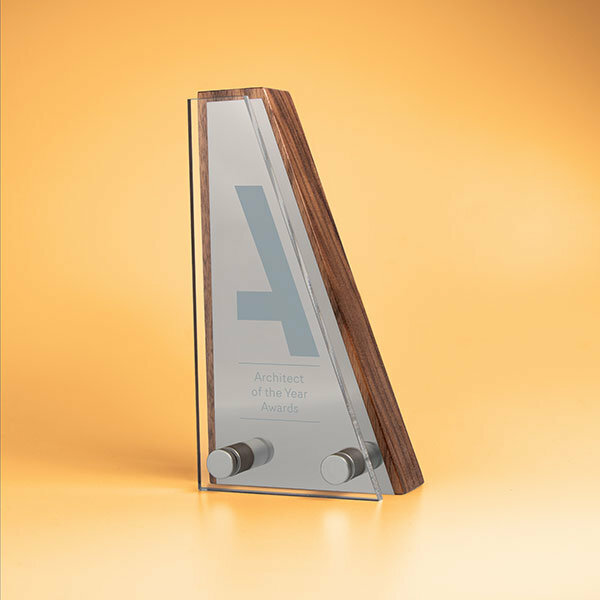 These off-the-shelf wood awards are available in eight contemporary shapes: Oblong, Flame, Wave Top, Sail, Wedge, Column and Cube and a choice of three, mellow woods: oak, cherry and walnut. 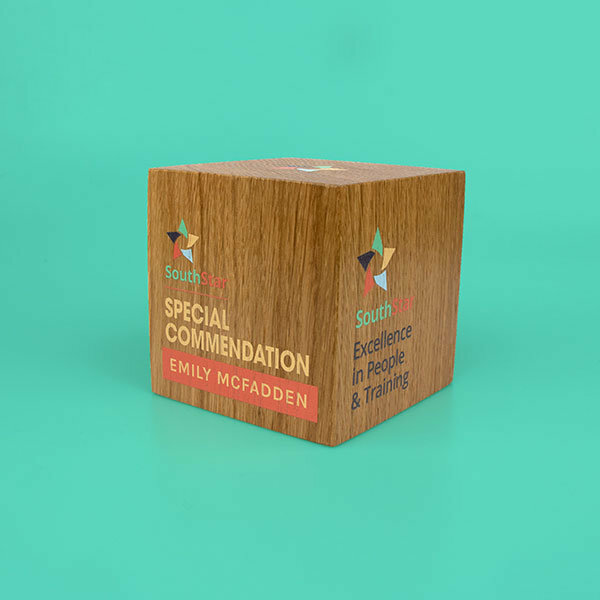 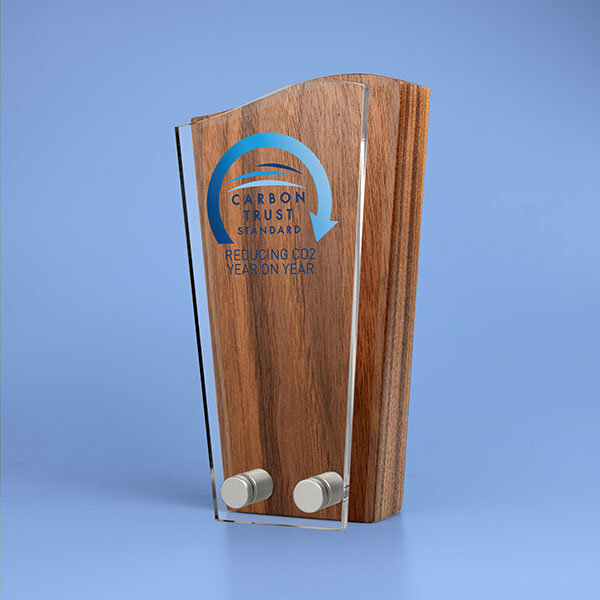 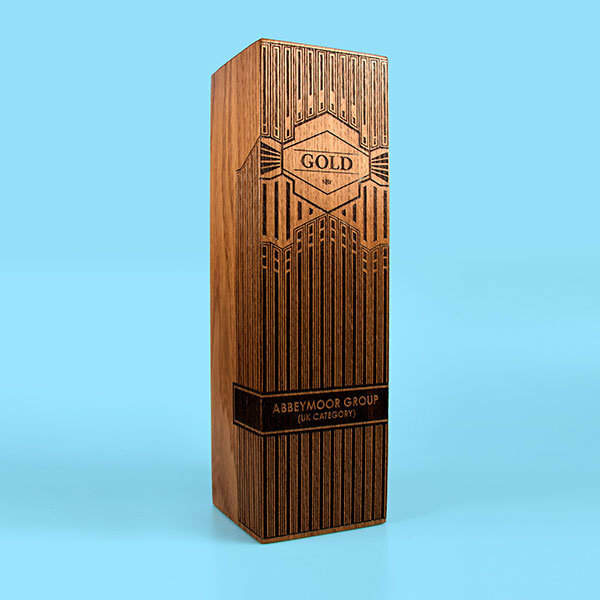 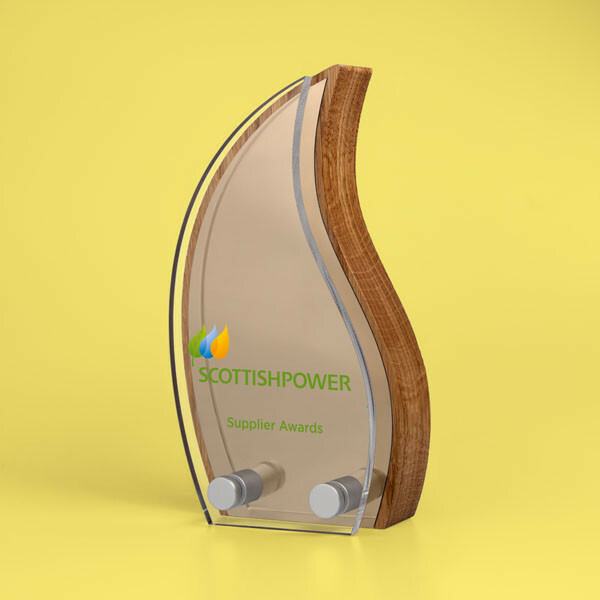 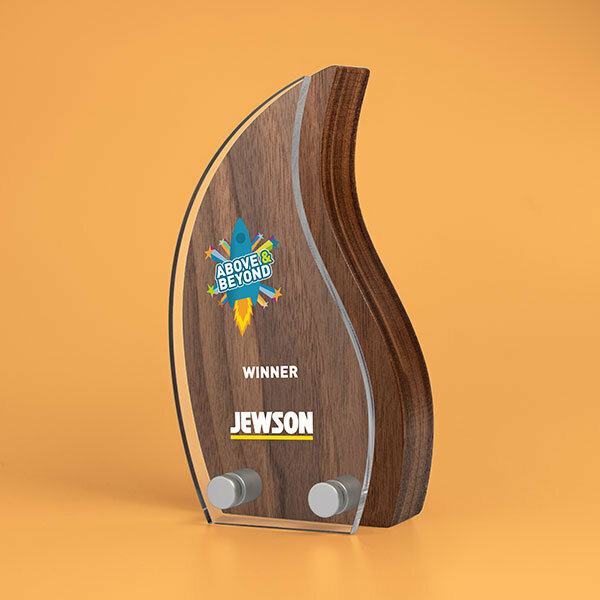 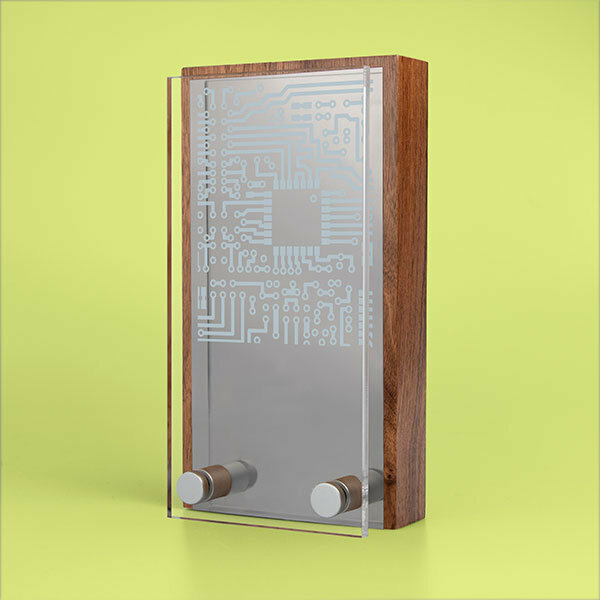 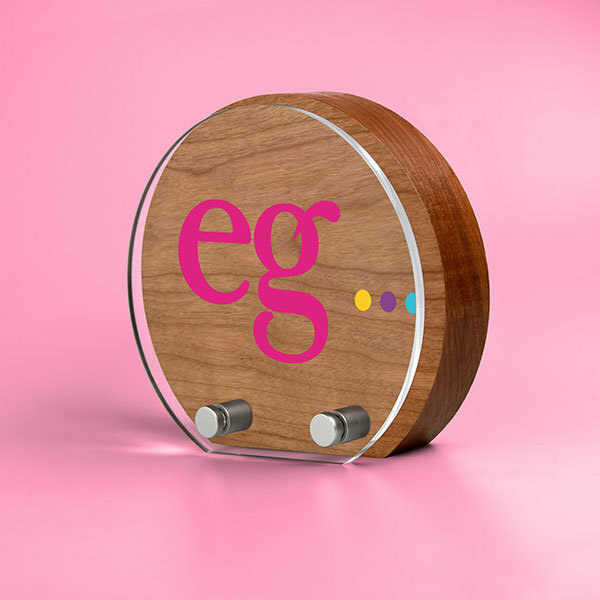 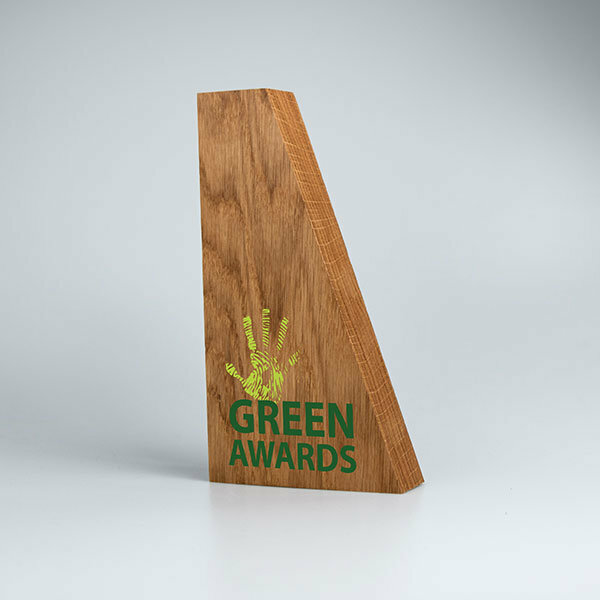 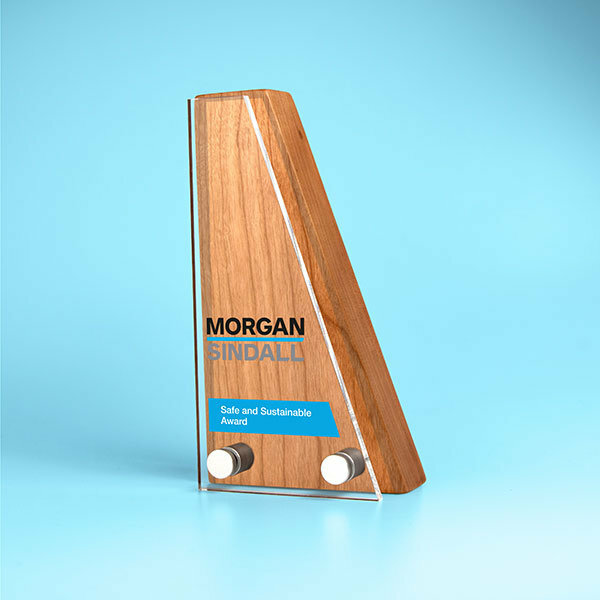 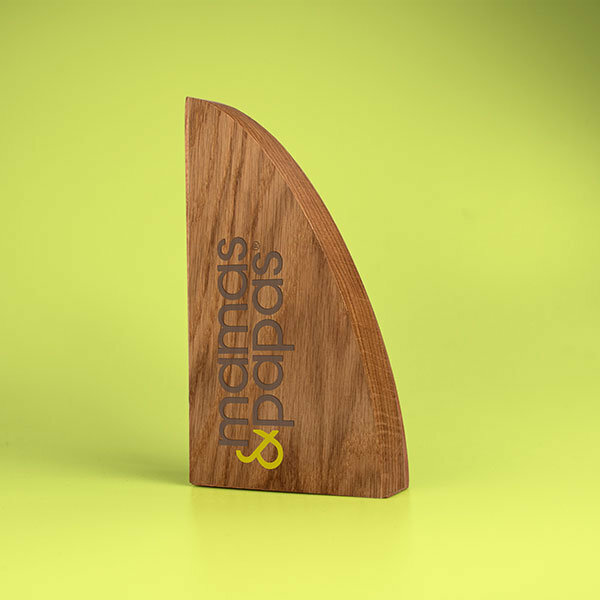 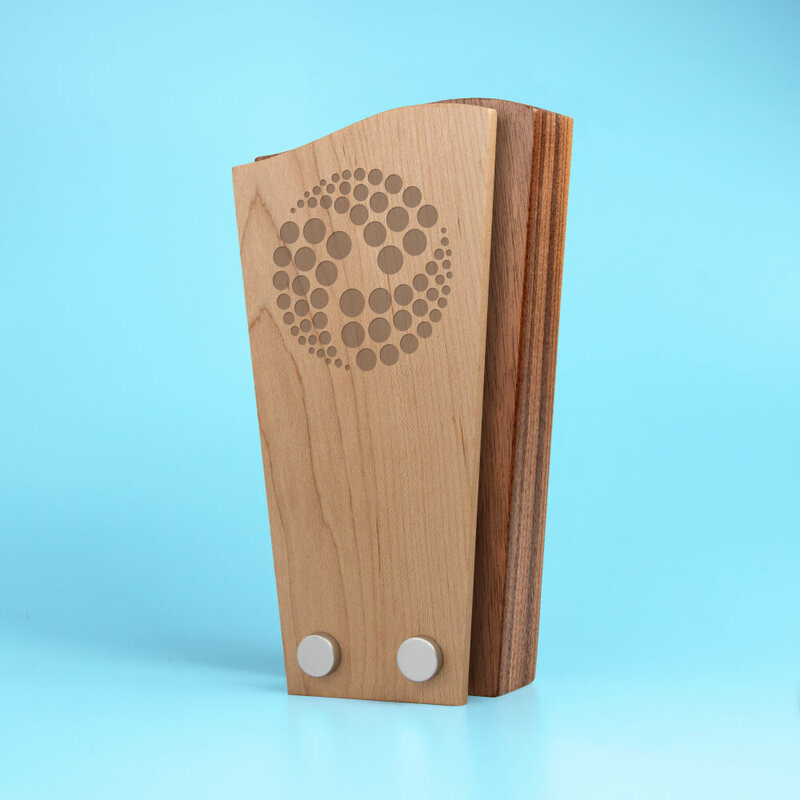 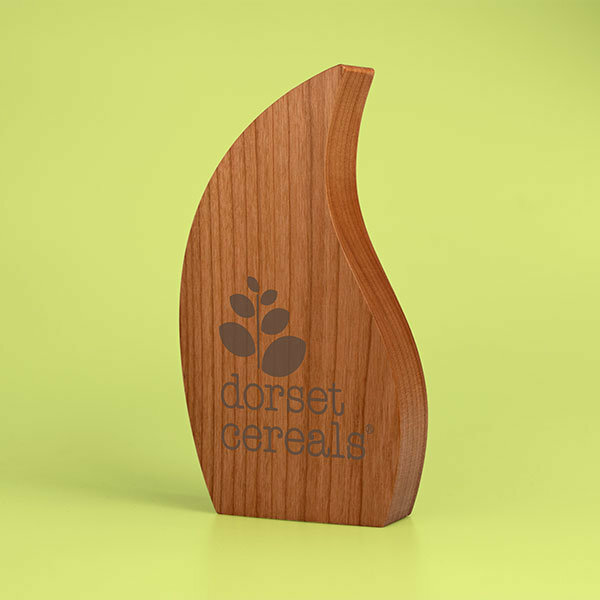 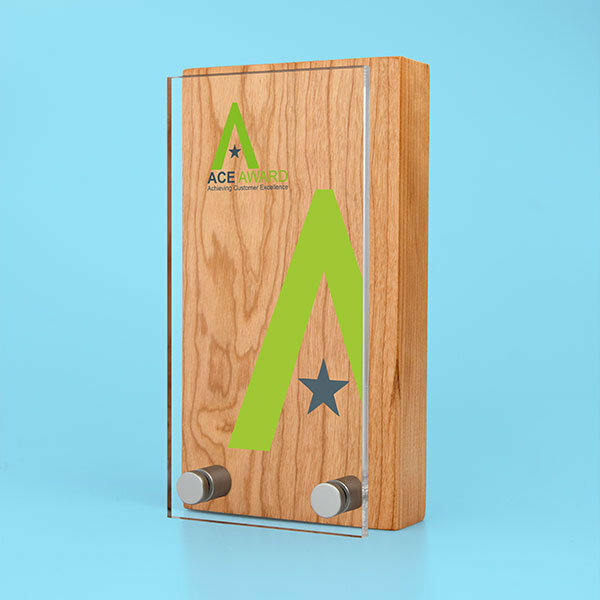 They offer an additional design element from standard awards with the option of a decorative front panel or plate, creating attractive wood and acrylic awards. 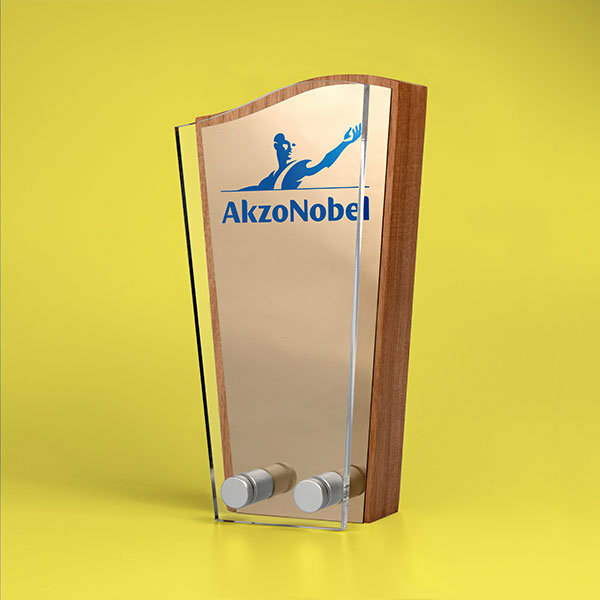 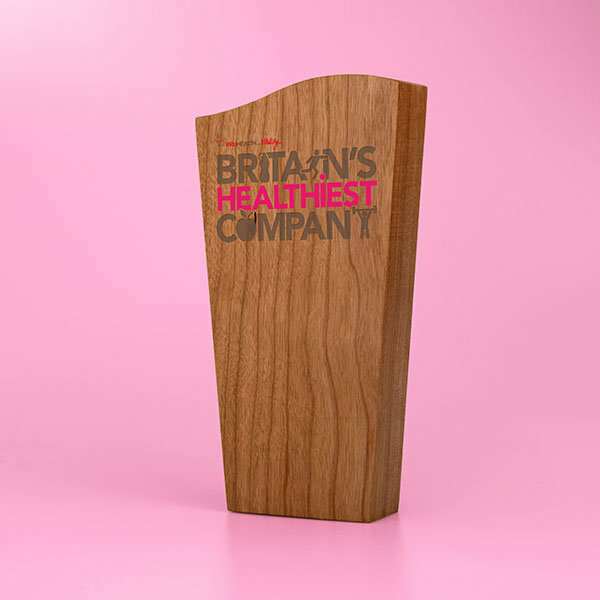 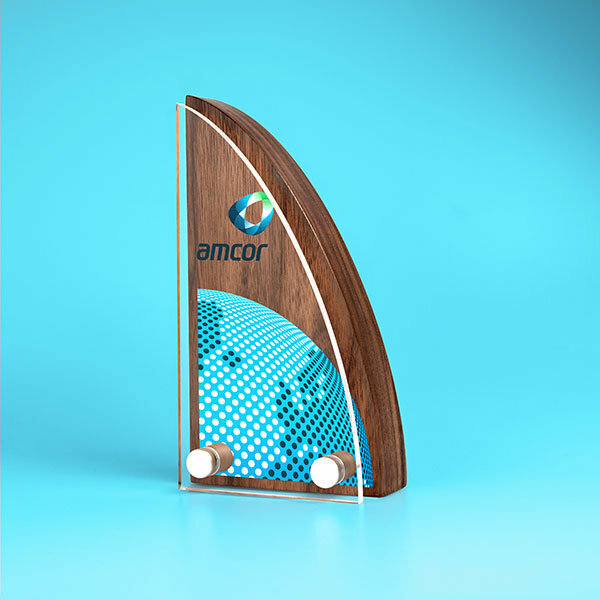 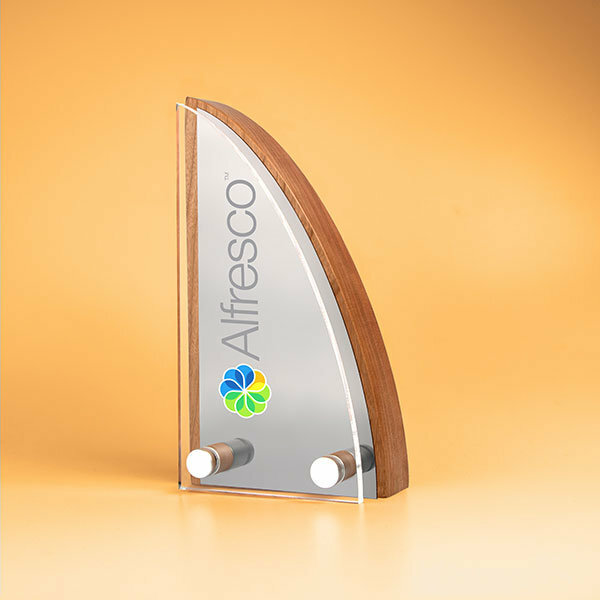 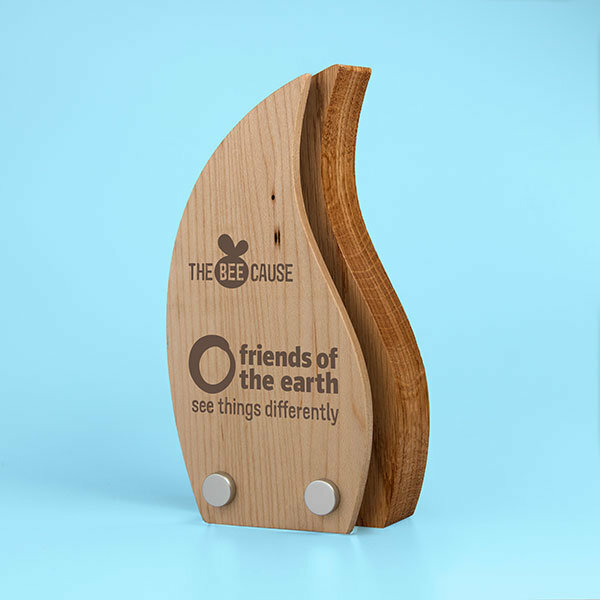 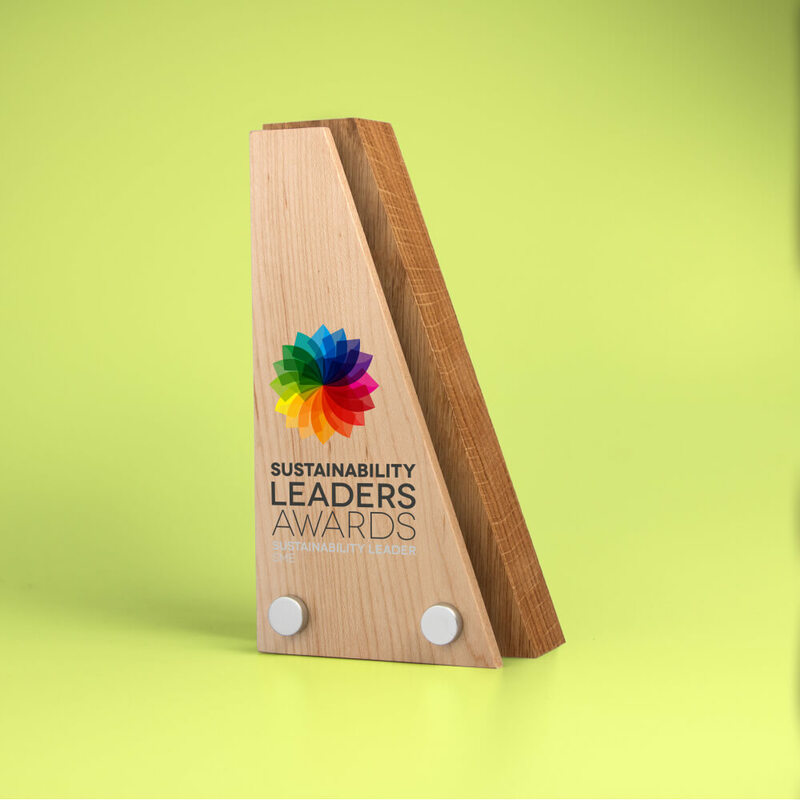 The panels are available in a choice of clear acrylic, mirror-finished metal and acrylic or contrasting wood and are affixed to the front of an award. 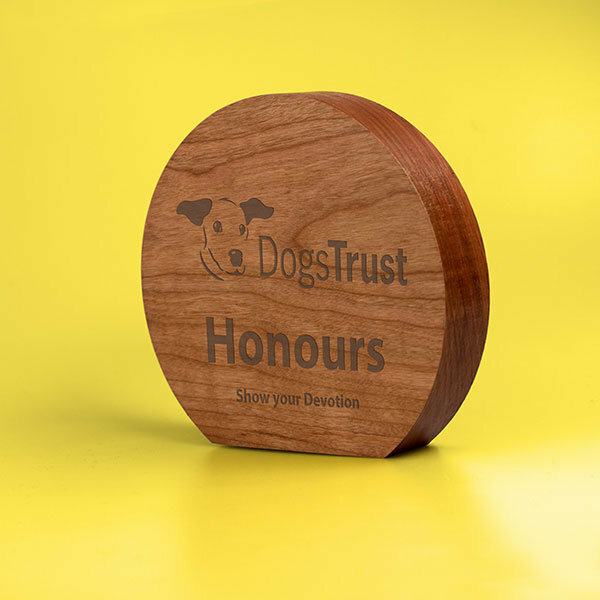 Decorative elements and personalisation enhance the exclusivity of each award, from full colour digital graphics and inscriptions to laser engraving and textured surfaces. 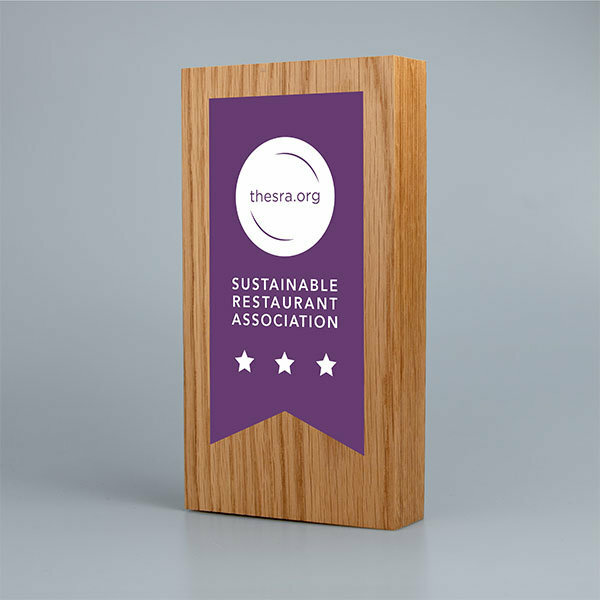 These layered wood awards combine style and prestige whilst being both sustainable and recyclable.